To get the most from your furnace or heater, you should know how it work – from installation and the fuel it uses to how it distributes heat throughout your home. As your expert in residential HVAC services, Sierra Air shares a list of the things you should know about furnaces. Furnaces Need Fuel – As the most traditional house heating system, a furnace requires an equally traditional way to generate heat: by burning fuel. Furnaces can be gas-fired or oil-fired, or are fueled using coal or wood, or a combination of these. Some furnaces are powered using electricity. If you are considering switching from one type of fuel to another, have your furnace checked by a heating professional to ensure compatibility. Traditional Furnaces Use Gravity to Distribute Heat – In terms of heating, gravity refers to how hot air tends to rise above cool air. This is why traditional furnaces are located at or close to the center of the house. The central furnace heats the air, which then rises and passively heats the rooms. A separate register pulls cool air from the same rooms, which are then heated by the furnace. For larger homes, blowers can be installed to allow better heat distribution. Higher AFUE Means Better Efficiency – The annual fuel utilization efficiency (AFUE) is the rating system used to measure how efficient furnaces or boilers convert fuel to heat. For example, if you have a gas-fired a furnace with a 90% AFUE rating, it means that only 10% escapes up the chimney while the rest is converted into heat. Electric furnaces are typically rated at 95% to 100% AFUE as they don’t actually burn fuel. Given the energy required to generate the needed amount of heat, a heat pump may be more economical. Furnaces Are Upgradeable – Old furnaces and boilers have AFUE ratings between 56% to 70% while modern furnaces can achieve as much as 98.5% AFUE. Coal-based furnaces are the best candidates for an upgrade. In addition to increasing its efficiency, gas and oil emit far less carbon dioxide compared to coal. When you upgrade, make sure your heater installation professional inspects everything, including the chimney lining and registers. 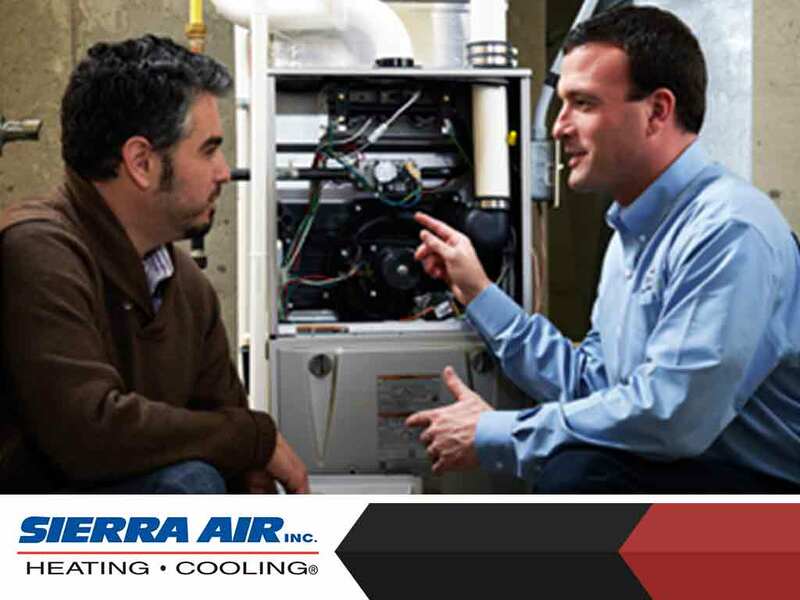 To learn more about how you can get the best from your furnace, call Sierra Air today at (775) 800-5500. You can also fill out our contact form to schedule an appointment.